Plus: The litres of alcohol seized by Revenue officers at Dublin Port. 200,000: The number of people in southern Australia who were left without power, as the grid struggled with surging demand during a brutal heatwave. 218: The number of third-party claims made against Bus Éireann over incidents involving vehicles used for the School Transport Scheme between 2011 and 2017. 2: The number of endangered Amur tiger cubs who are now ready for visitors this weekend. 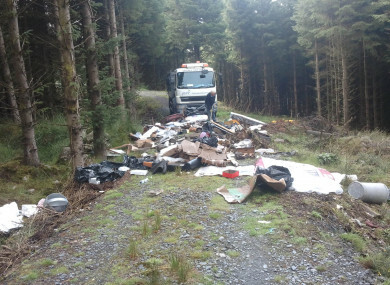 13 tonnes: The amount of illegal waste dumped in the Wicklow/Dublin uplands in the first three weeks of this year. 1,000: The additional number of staff that Facebook is to hire in Ireland this year, bringing its total workforce in the country to 5,000 employees. 535: The number of feedback emails that RTÉ received in relation to a Prime Time programme about transgender issues which aired during the week. 10: The number of Oscar nominations received by The Favourite, the period film co-produced by Irish company Element Pictures. 11,000: The litres of alcohol seized by Revenue officers at Dublin Port. 2: The number of statues of iconic Dubliners singer Luke Kelly that will be unveiled next week to mark the 35th anniversary of his death. 35: The number of years it has been since the Liffey ferry service was decommissioned. Following restoration efforts, the ferry service will now taxi passengers between three points in Dublin’s Docklands. Email “How much waste was dumped in the Wicklow and Dublin mountains after Christmas? It's the week in numbers ”. Feedback on “How much waste was dumped in the Wicklow and Dublin mountains after Christmas? It's the week in numbers ”.